When you give to the Playwrights' Center, you support the brave, talented playwrights who are creating new work for the American stage. Our programs support playwrights and theater artists at various stages in their careers, from beginning to emerging to established. Get on our email list to hear about season events, impromptu public readings, and other ways to be part of the new play experience. Playwrights' Center membership is open to all. Connect with the 2,000 playwrights around the world who have found their artistic home here. As a Playwrights’ Center member, you’ll join 2,000 other playwrights worldwide, of all styles and experience levels. 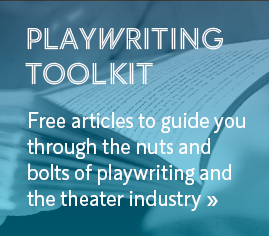 Benefits include exclusive access to our playwriting opportunities database, regular articles from experts, classes and seminars, one-on-one dramaturgy sessions, staged readings, and ways to connect with other playwrights.